I have a question about shipping and handling. Frequently asked questions about shipping and handling are located here. I would like to request a hard copy of the Just ASK catalog, or other materials. Please complete the form located here in order to request a hard copy of one of our materials. I’ve changed schools, jobs, districts, etc. How can I update my information or be removed from your mailing list? 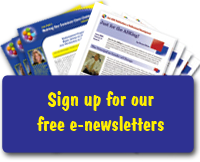 Please email us at info@justaskpublications.com with your new information. Where can I access a copy of Just ASK’s W-9 form? 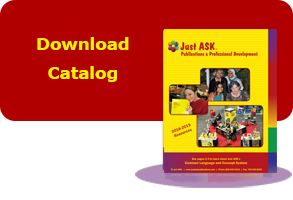 Just ASK Publications & Professional Development is the manufacturer and first-line distributor of many publications and professional development workshops. For more specific questions about sole source statements or to have your institution’s forms completed please call 800-940-5434, email us at info@justaskpublications.com or fax your request to 703-535-8502. How can I request an examination or desk copy of a Just ASK book? Please complete the desk copy request form located here. Who do I contact for copyright questions/permissions? Email your request to permissions@justaskpublications.com.